Have your GPS or PDA within the field of vision, and still know it is protected from moisture, dirt and dust. 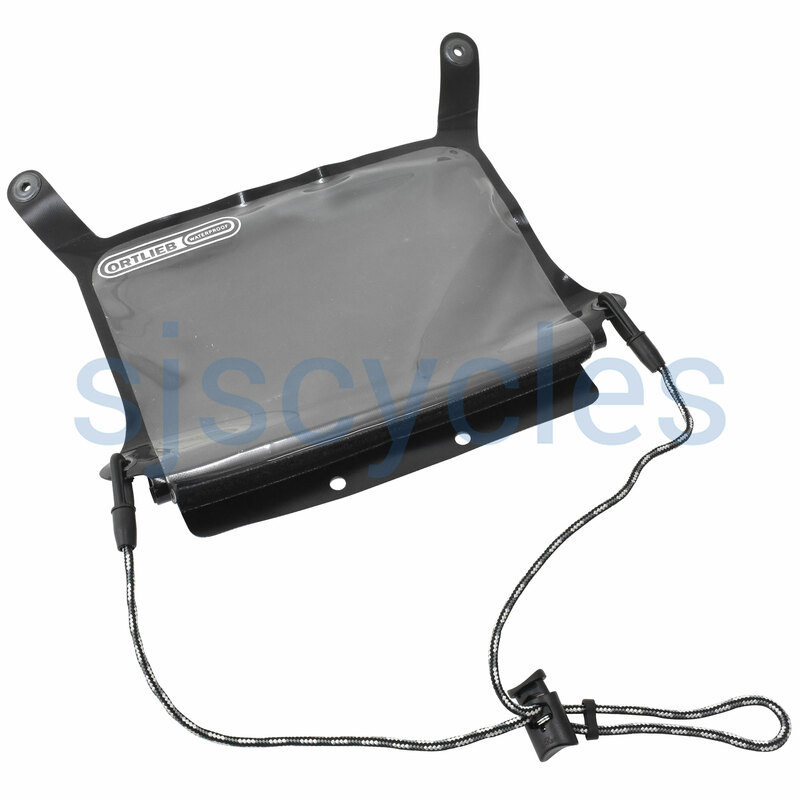 The Ortlieb GPS cover is also a contemporary transport solution on the bike for your mobile phone or communicator. It can be fixed, by means of push buttons, to all handle bar bag models Ultimate 2 - 5, except those with roll closure and the Compact versions. The contents can be operated without any problem through the UV resistant, transparent PU foil. If your phone can be operated in a horizontal mode, choose the landscape version. On it's third short outing the seams started to come apart on either side rendering it useless. I'm really surprised and it would not stop me from investing in other Ortlieb kit or buying from the very reputable SJS Cycles (who were great about taking it back). I can only think there is a fault with this batch? It came apart so soon and so easily - the iPhone 4 is hardly a tight fit in it so the plastic was not stretched. My advice - don't buy online - check it out in a shop first!